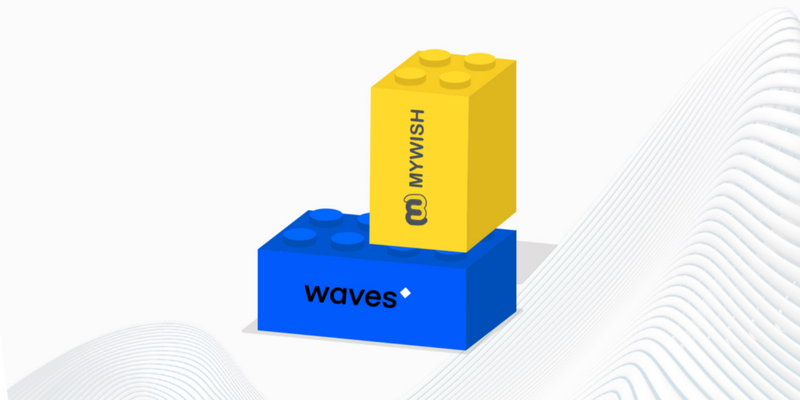 The teams of Waves and MyWish have agreed to work together on providing customized solutions. What does it mean? Since the massive adoption of Waves blockchain is the main strategy for the Waves team, it is going to be integrated into the MyWish platform and is to compete with existing popular networks. The developed smart contract template will support Test Net and Main Net. Suchwise, MyWish will enable all users to easily create the first Waves smart contract. As the experienced developer, the MyWish team creates a user-friendly interface for customization and contract management. Furthermore, all developments are made in the open source code and are aimed at the successful development of the blockchain technology of the future. MyWish and Waves look forward to fruitful cooperation and new projects in perspective for the sake of the good goal of spreading the blockchain religion. Waves is an open source global blockchain platform launched in 2016. According to CoinMarketCap, Waves is on the 24th place, with $277 mln valuations. Waves provides the ability to introduce smart contracts into business processes, ensuring their transparency and security. Waves smart accounts can be used in various processes where it is necessary to ensure that parties perform certain actions without intermediaries. Their functionality allows you to implement accounts with multi-signatures, atomic swaps, two-factor authentication, etc. MyWish offers solutions for creating smart contracts without a single coding skill. The service is available from 2017 and has become the most sought-after smart contract platform, which currently supports the 5 most popular blockchains. More than 7 thousand users are registered on the platform, who have already created more than 5 thousand of their own smart contracts. Of the latest achievements, the project won the TRON Accelerator competition and helped NEO blockchain with Testnet development.